Our Best Wishes for a Great New Year! This spectacular image shows Hubble’s view of massive galaxy cluster MACS J0717.5+3745. The large field of view is a combination of 18 separate Hubble images that reveal the presence of a filament of dark matter extending from the core of the cluster. 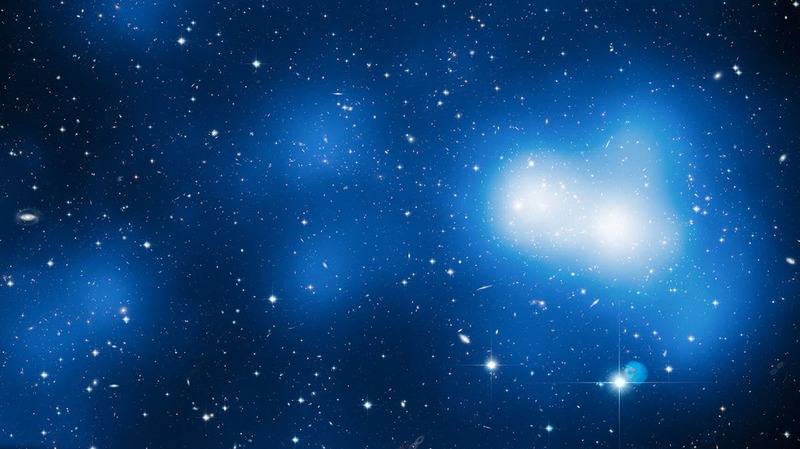 The location of the dark matter is revealed in a map of the mass in the cluster and surrounding region, shown here in blue. The filament visibly extends out and to the left of the cluster core.